Oil and gas company now remotely monitoring operation. Read their Story Here ! Monitoring Italian water treatment plants from Canada. Data Logger: See data before you head out of your office. Store important information without putting a strain on your network. » Get more information about the information about the Data Logger here! 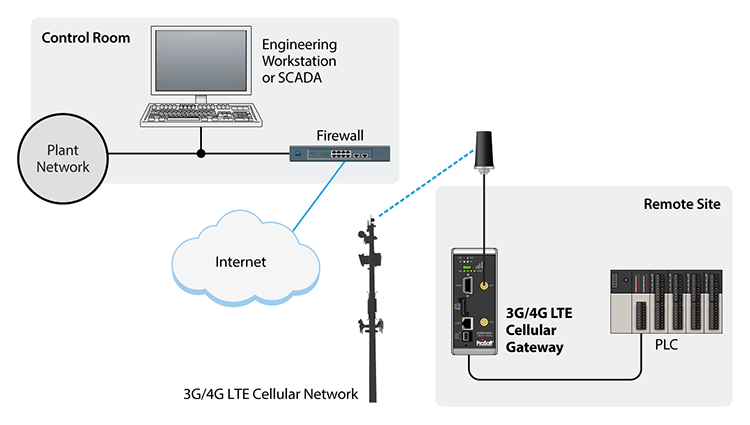 Remote Connectivity Gateways: Securely monitor your hard-to-reach equipment. Decrease support travel costs by remotely troubleshooting. » Get more information about ICX35 here! » Get more information about Network Bridge here! 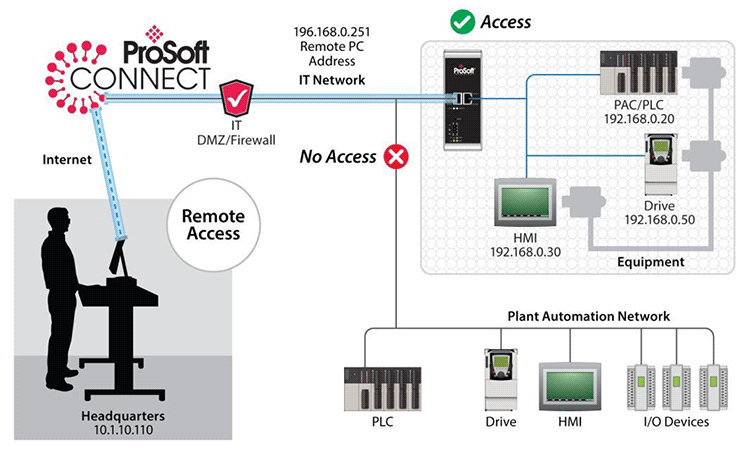 ProSoft Connect: Remotely access your equipment from anywhere you have an Internet connection. Provide secure, separate workspaces to support your clients’ service agreements. Ensure your assets’ safety with Virtual Lockout-Tagout. 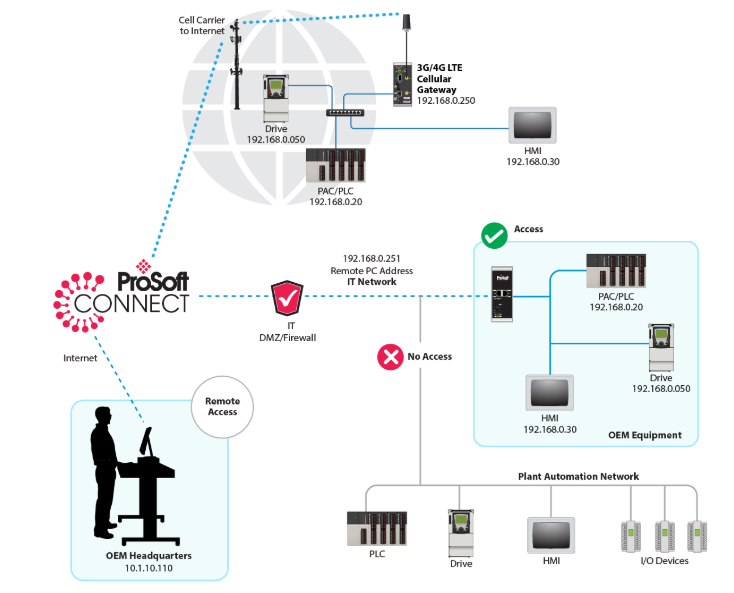 » Get more information about ProSoft Connect here!